Why Do Some Pension Funds Avoid Equities? In attempting to synthesize some of your past comments, I wonder if it is accurate to conclude that rate hikes are the lesser of two evils between collapsing pension funds and higher debt servicing costs? If so, the implication is that budgets don’t matter, since it appears you can add another 200B to 400B dollars to your running costs each year, not including higher military spending, new infrastructure investment, trade protection costs etc… without any consequence to the demand for dollars. This is a hard concept for the average person to grasp since, in his/her world, budgets DO matter. But why do pension managers not buy equity if they want higher returns? Surely this would resolve the problem since western central banks, who appear to deem it their responsibility to protect pensions, could embolden primary brokers, hedge funds, and UHNW investors to produce the concentration needed to raise stock markets into the future, thus securing pension returns. It also seems that from what you have said, whilst markets are overvalued compared to previous years, they appear not to be overvalued in the present, relative to other asset classes. Investors who have been reading banking commentaries over the last 20 years must feel that valuation guidelines should now be taken with a pinch of salt. Thanks for your efforts and for keeping the conversation going. ANSWER: We have a number of major pension funds who follow our computer and have outperformed everyone else on the block. However, the problem is not pension funds lacking the desire to move to equities, but many have their hands tied and are restricted to government bonds. Then we have state pension funds like CalPERS in California, who was a big investor in US equities, and was directed by politicians to be politically correct by investing in environmentally pro-active companies. That has been a huge bust. Some pension funds have followed the 60% equity and 40% bonds rule, but others, most state pensions, made it 80% bonds and 20% equity. Then they ran off into emerging market debt to get the high yield. The Swiss Federal Office for Social Insurance posted 57% of pension funds were underfunded at the start of 2009. Take Belgium where the maximum limit for investment by pension funds into equity is 10%. The bias for government debt in pensions is illustrated by Germany where the maximum investment into any single issuer is set at 5%, but they can invest 30% of the fund in a single government issuer. 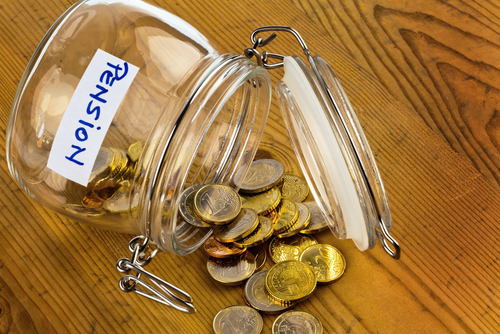 We have been creating some clever packages to help some pension get around those limitations. I am not at liberty to discuss the matter. « Can Governments Dictate to the Free Markets?